After last week's bad news, this week was better. We had the materials dropped off on Friday for our new garage which seems like a good sign that a garage will be built soon. Also on Friday, we got a call from the people who will be repairing our wet basement saying that they were able to fit us in this Monday and Tuesday. We had been looking at October 11 & 12 as the soonest they would be able to do the job. After them, we have mold abatement to get done and then the house sale ought to be able to be accomplished. Once we close, I'm thinking of just holding the checks for a few days to be sure everything is okay this time. Now, I would like to hear some good news about my townhouse. It has been back on the market for two weeks with only one showing. We have had crisp, cool fall-like weather the past week with occasional thunderstorms to keep life interesting. As I'm writing this on Saturday morning, the sun is shining brightly and no rain is forecast for the next three or four days. Buried Heart by Kate Elliott - good ending to Court of Fives trilogy. Review will be posted on Ms. Martin Teaches Media Sept. 22. Devils & Thieves by Jennifer Rush - begins a YA urban fantasy series. There was a little too much world building at the beginning but, once the action began, it was fast and furious. Cliffhanger ending. My review will be posted on Ms. Martin Teaches Media Sept. 25. Enigma by Catherine Coulter - engaging thriller; latest in a long running series. Review on Inside of a Dog Sept. 27. Secrets in Death by J. D. Robb - great episode in another long-running series. Review on Inside of a Dog Oct. 14. Her Last Goodbye by Melinda Leigh - second in the Morgan Dane romantic suspense series. Realistic romance and creepy mystery. Review will be posted on Inside of a Dog Sept. 28. Satellite by Nick Lake - YA science fiction. Publication date: Oct. 3. I'm so sorry you are having apprehension about the house sale, but it's understandable! I'm hoping everything works out for you. Lots of great books, Kathy. BODY ON BAKER STREET and ALL THE SECRET PLACES look good to me. I hope all the house stuff works out. So glad there was better news this week! Secrets in Death is my #1 read for the month. Looking forward to Her Last Goodbye as well. I was just approved for Death Overdue on NetGalley this morning. I usually don't do ghosts, but I can't resist a mystery set in a library! Her Last Goodbye looks like one I would enjoy...I have Book 1 in the series: Say You're Sorry. Hope all the house issues are resolved. Thanks for sharing, and for visiting my blog. Glad to hear things are going better with the house and that the workers are able to come and fix it sooner than expected. Fall weather has hit here as well, though its supposed to warm up for this week, so that's good. Looks like you've got another pile of great looking books to read. Enjoy! Ooh nice! Those are some totally new to me ones! Though I am liking the looks of The Breathless! Looks nice and creepy! Happy Reading! Great books on your list. I have a few of those to read, too. Hope this is a good week for you. Glad things went better this week. Wow! that's quite the week as far as books go! I'm impressed. I'm attracted to the cover of Refuge for Masterminds. Hope you have a great reading week! I'm loving the fall weather. I hope your buyers are able to extend their loan package for another closing date. Sorry you have had such hassles. Death Overdue and Cajun Christmas Killing are two I eyed at NetGalley. I like the cover of Snowspelled and have enjoyed Mercedes Lackey. Hope this is a better week and Happy Reading! Glad to hear this week was better. I hope everything gets resolved soon. I love seeing Robb's book on your list. I am way behind but I'm glad to see that you are still enjoying the series. 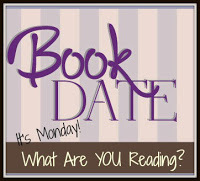 I hope you have a great week and happy reading!